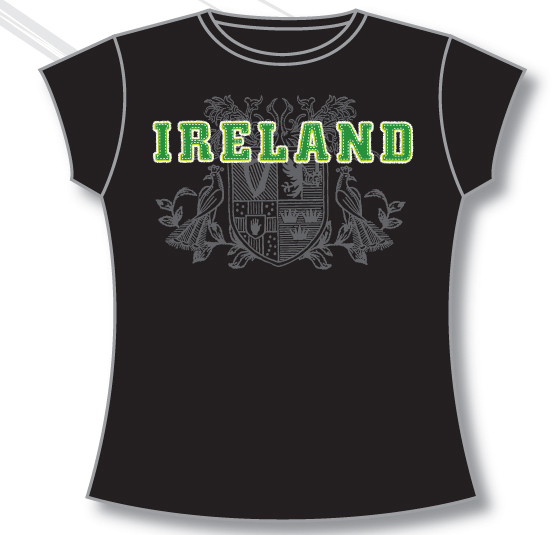 This ladies Irish t-shirt is printed with the word "Ireland" and the symbols of the 4 provinces of Ireland: Ulster, Munster, Connaught and Leinster. This 100% premium quality cotton Irish t-shirt is made in Ireland. Please note this is a "fitted" style so we recommend choosing a size larger than your regular t-shirt size. Sizes S, M, L, XL and XXL. Available in black, lime green and pink.